For travellers planning to explore Botswana’s renowned attractions, Maun Town Centre car rental from Drive South Africa is without a doubt the way to go. While this town is not the capital, it is the heart of the country, acting as a stop-over route for travel to the Okavango Delta, Moremi, Makgadikgadi and other destinations. But while Maun may not always be the primary focal point on trips to this part of Africa, it has enough of its own charm to offer a surprising number of highlights. Derived from the San word ‘maung’, which means ‘the place of short reeds’, this town has a unique blend of modern facilities, dated buildings, mixed facilities ranging from shops to petrol stations, traditional villages, bush surrounds and loads of accommodation options. After collecting your car rental in Maun Town Centre, be sure to check out local sights such as the Nhabe Museum, Maun Game Reserve, Thamalakane River and Okavango Swamps Crocodile Farm! Whether you are passing through en route to the deserts of the Kalahari, or planning a Big 5 safari in the spectacular national parks and game reserves of Botswana, hiring a car is a great way to explore at your own pace. Why wait for tour buses, or worry about organising public transport when you can enjoy your own car for your travels? Through a network of trusted rental companies, Drive South Africa offers great deals on both short and long term rentals, helping you save a bundle too. 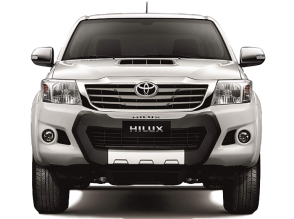 Choose from snazzy standard cars, luxury rides, spacious vans, comfortable SUVs, rugged 4x4s and many other options. If we don’t offer the vehicle that you require in Maun, we’ll happily source the vehicle of your choice and have it delivered to Maun for you. Once payment has been done, your booking will be confirmed. After that, all you need to do is head to the nearest branch on arrival to collect your Maun Town Centre car rental.